Sunday October 7th has been designated as Wales for Recovery Sunday. We will have a service at 6pm at St Mary’s for us to pray for all who are slaves to addiction. If you are an addict needing the help of a superior being/God – this is for you. If you care for an addict – this is for you. If you care about people with addictions and want to pray for them – this is for you. Fr Mark Soady RMN, Vicar said, “We host a weekly meeting of Alcoholics Anonymous at the Priory Centre on Wednesday at 8pm. This is a further way in which we can help people who suffer from various addictions”. We celebrate Harvest Thanksgiving on the weekend of October 12th – 14th. 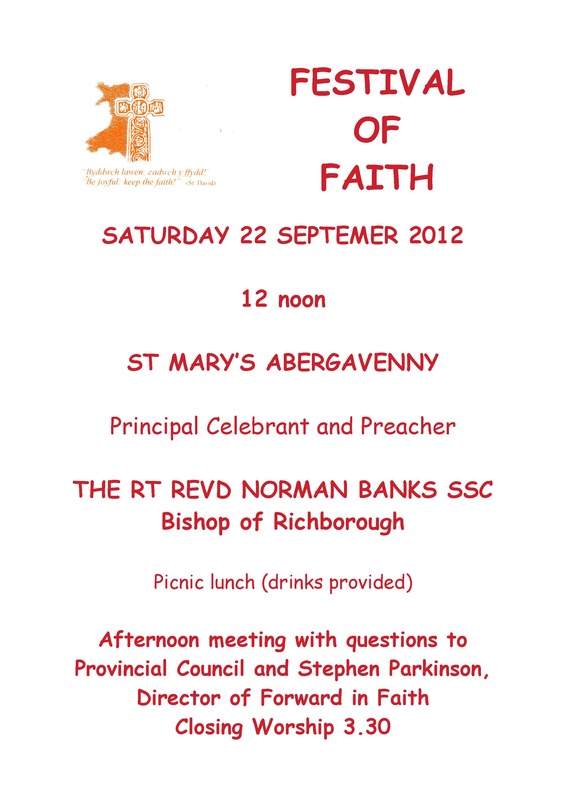 Donations of dried food for Aberagavenny food bank are welcome at all services. It was great to have a chance to be back in France for a couple of weeks this summer – to explore some of our old Parisian ‘haunts’ and to spend some time by the sea in Brittany afterwards. The summer obviously reminded us of our time in France (2003-2007), and was thoroughly enjoyable. One of the things I noticed once more was just to what extent Paris empties in the summer of many of its regular residents, with the city really being taken over more or less completely by tourists (such as us, on this occasion). Everything seems to come to a halt after July 14 (the national holiday), and then, rather dramatically, comes back to life with a bang in September. There is a key word for this new beginning, which has an even more urgent ring than our own ‘back to school’ does, the ‘Rentrée’. It is a bit like a new year beginning right in the middle of the year, and quite apart from having (to some) rather threatening overtones of having to go back to work hard in a new class at school, it above all speaks of promises: promises of a new beginning, of starting again and having another go, of a clean slate and a fresh morning. I have to admit I love the term, and indeed the concept, speaking as it does both of a certain rhythm to one’s life and work (work does not just drag on relentlessly, but comes to an almost complete stop in July and then starts up again, rather frantically, if I remember correctly, in September) and of the promise of new beginnings, itself an idea so close to the Gospel’s offer of beginning afresh with God. Now, we don’t do quite the same thing here, and it is obviously impossible to try and import the idea wholesale to a different setting and culture – but I do want to commend at least the sentiment to us, both individually and together: try and have a ‘rentrée’ this year, if you can. The Church in Wales as a whole certainly seems to want to do something at least as exciting, if the Church in Wales Review is anything to go by – though spoiled in terms of the rentrée-concept by being published in July, of all months. There are all sorts of ways in which we can read that report, and discuss its recommendations, of course, but I do hope we can engage with it in the spirit of the ‘rentrée’: as a hope-filled new beginning, a positive challenge and not something to be approached with fear of change and fought against. Not all its recommendations may be right, not all will be taken up, most probably – but we will be displaying an inappropriate timidity if above all we seek to ‘bring it down’ because it signals change: living things change all the time, and need to – it is when they stop changing that we ought to be worried (they may be dead…). 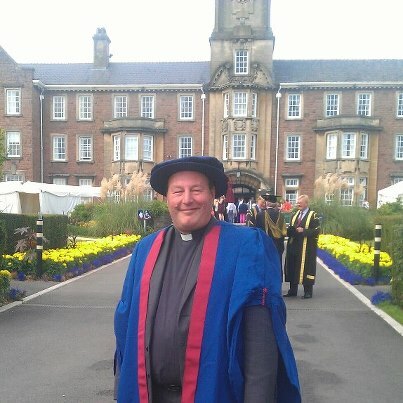 Father Mark Soady the first Chaplain of Newport’s University is to be made an Honorary Fellow of the University at the Graduation Ceremony on September 8th. “I am very honoured to have been put forward for a Honorary Fellowship. 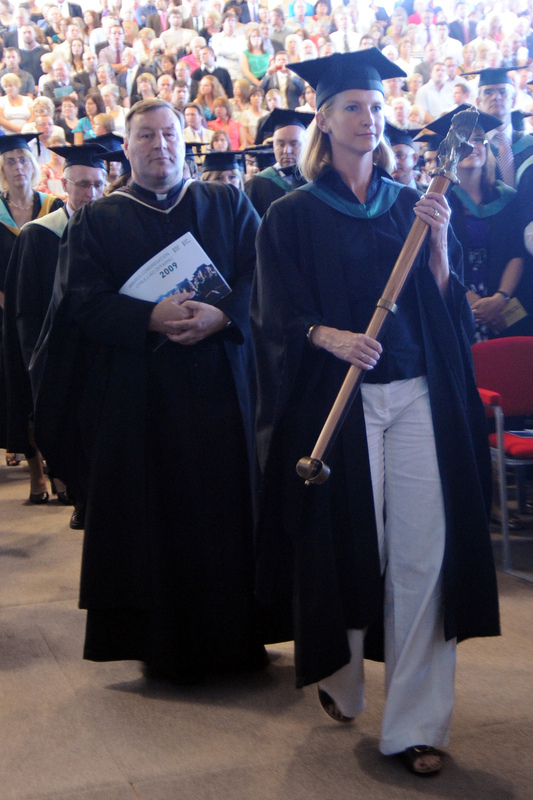 It is a particular honour as Roy Jenkins was Newport’s very first honorary Fellow some 16 years ago. Roy was a dear friend and remains one of my heroes, and it is a very emotional honour for me to have the opportunity to stand in his footsteps when I receive my Fellowship. Fr Mark worked as Head of Office to Roy Jenkins ( Lord Jenkins of Hillhead OM, prior to his Ordination ) and served as Chaplain of Newport’s University from 2008- 2012. Others awarded Honorary Fellowships include Lord Kinnock and Baroness Kinnock of Holyhead, Lord Rowe-Beddoe, the broadcaster Huw Edwards,and from Abergavenny Alison Todd and Sarah Dickens.